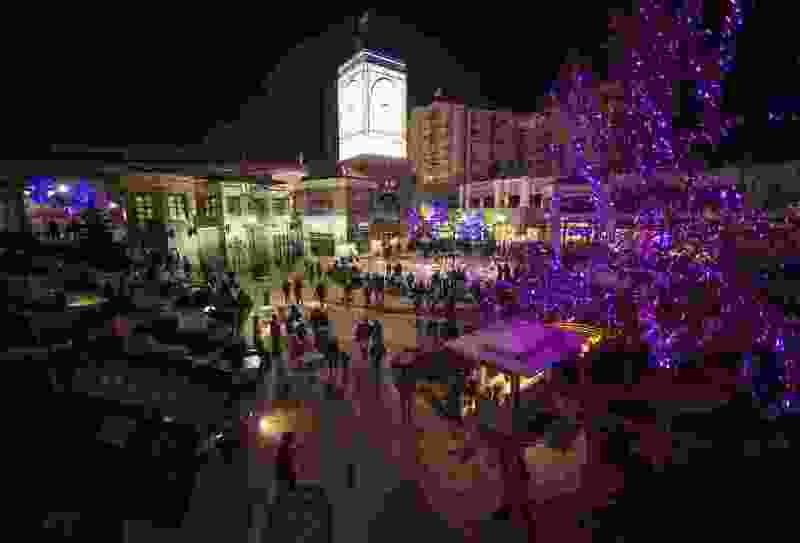 (Rick Egan | The Salt Lake Tribune Crowds gather for the Last Hurrah New Years Eve party at the Gateway, Sunday, December 31, 2017. People across the country are making New Year’s resolutions, and four out of five of us — maybe even nine out of 10 of us — are going to fail to keep them. So, while the bar isn’t set particularly high, Salt Lake City is No. 7 when it comes to keeping New Year’s resolutions, and West Valley is No. 65 on the same list. Salt Lake City ranked 21st for health resolutions, 24th for financial resolutions, 25th for school and work resolutions and 35th for bad habit resolutions. West Valley City ranked 68th for health resolutions, 19th for financial resolutions, 44th for school and work resolutions and 60th for bad habit resolutions — coming in 65th, right between Mesa, Ariz., and Henderson, Nev.
San Francisco was No. 1, by the way, and Gulfport, Miss., was dead last in 182nd place.